Everyone knows the beloved children’s fairy tales, and Fairy is no exception. This imaginative little girl loves the fantasy world so much that she never tires of the stories. 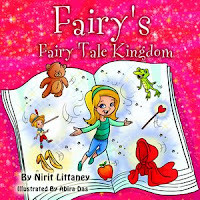 Follow Fairy as she transports into a magical kingdom that allows her to visit her favorite tales a little more closely than she would sometimes like. This colorful bedtime story for kids will inspire curious minds to picture themselves in the shoes of some of the world’s most loved heroines. Each page is filled with lively illustrations and interesting twists. Excellent storybook for early & beginning readers, reading aloud at home, and as a bedtime story for kids. Fantasy lovers will enjoy Fairy’s adventures, and the little souvenir that may or may not have followed her back to reality! 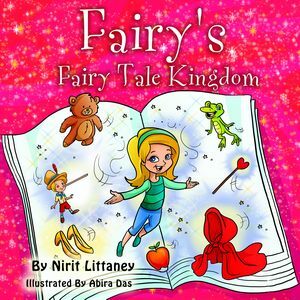 Nirit's commitment to personal and physical healing, along with her story-like travels around the world, have inspired her to pen inventive tales for families in search of humorous, insightful bedtime stories. She writes for children in hopes of making them giggle while they also learn a lesson or two. Today, Nirit lives in Israel with her angel of a husband, who champions each of her new books as if he were the wide-eyed child she wrote them for. When Nirit isn't dreaming up new characters, she works as a nutritionist, medical coach, and spiritual leader. She is eager to inspire and help others with the lessons her own challenges have taught her--and what better way is there than through books?